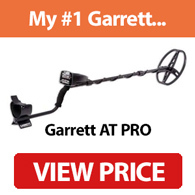 Looking for a Garrett metal detector but not sure which to choose? In this article, I review four of the best Garrett detectors to help you make the right choice for your budget, experience and requirements. Where Can I Find Garrett Detectors for Sale? Where Can I Get My Machine Repaired? Fisher Vs. Garrett – Which Produces Better Detectors? Even if you’re new to metal detecting, Garrett is a brand that needs little introduction. With over five decades experience manufacturing metal detection technology, the company has an established reputation as one of the best in the business. That doesn’t mean every Garrett detector is worth buying though – the key is to find the one that’s right for you. The company produces a wide range of sport, security and even military metal detectors, so it can be hard to know which to choose. In this article, I’ve put together a list of four of my favorite Garrett detectors. If I’m being honest, most Garrett detectors are excellent, but these four stand out as the best in their respective categories. 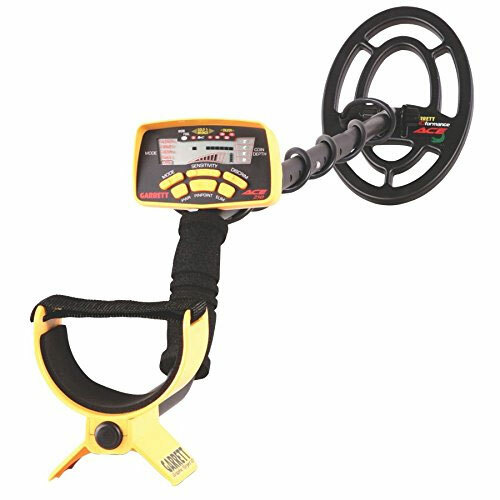 Note: If you'd like to see my list of the best metal detectors from any brand, please click here. Garrett was founded by Charles and Eleanor Garrett back in 1964. The company realized that to compete in what was then a crowded market they must produce high-quality detectors for a reasonable price. This remains their goal today. The journey to establishing the company began in 1950, when Charles Garrett attended a 6-month electronics course while in the US Navy. This led to him attaining a bachelor’s degree in electrical engineering after his service. It wasn’t until 1963, however, when Charles became interested in metal detectors. After renting some commercial detectors, he began to believe he could develop something better and cheaper. The first model the company produced was the dual searchcoil Hunter. This sold well, but it wasn’t until 1968, when Garrett became the first manufacturer to overcome searchcoil drift, that the company rose to the top of the industry. Garrett has remained there ever since, while racking up a number of innovative patents and technologies along the way. There are plenty of reasons to like Garrett metal detectors. The company has a reputation for excellent customer service and satisfaction, which is important when buying a potentially expensive detector. Their detectors are also manufactured in the USA and provide excellent performance. Which are the company’s best models though? And which provide the greatest value for money? Let's compare a few of my top picks. If you’re just getting started with metal detecting, the Garrett ACE 250 is an excellent first detector that's available for a relatively cheap price. It’s easy to use and extremely lightweight, so it’s great for trips and can be used for long periods without your arm getting tired. The fact that it’s aimed at beginners doesn’t mean it’s a “toy” detector though. The ACE 250 is a 6.5kHz VLF model that’s easy to use, yet provides plenty of features for treasure hunting. One of the best features of the ACE 250 is the straightforward display. Even if you’ve never used a metal detector before, it’s easy to understand what the display is telling you. All the buttons are clearly labelled and responsive, so you won’t spend weeks trying to learn how to use it. This simplicity doesn’t mean the ACE 250 is lacking in features though. The model has a graphical Target ID, several built-in search modes, a coin depth indicator, pinpointing mode and a discrimination setting. The coils are submersible, so it’s suitable for shallow water hunting. If you’re looking for a simple model for coin or relic hunting, the ACE 250 is more than capable. There are some downsides to the ACE 250 – although this is to be expected from a cheap Garrett detector. The detector comes with preset ground balance, but there’s no option to adjust it manually. This is fine for beginners and common for an entry-level detector, but may feel limiting as you become more experienced. Another issue is that there’s no volume control. I always recommend getting headphones with built-in volume control anyway, but they are essential with the 250. You also shouldn’t expect the level of audio feedback found on more expensive models. Of course, the best feature of the ACE 250 is the price. If you don’t want to pay a huge amount of money just to get started with the hobby, then it’s a fantastic choice. Note: If you can pay a bit extra, the ACE 300 and 400 have additional features, such as digital Target ID, larger coils and higher frequencies. Click here for my review of the ACE 400. If you’re looking for a great all-rounder, perhaps as an upgrade to your first detector, then the Garrett AT Pro is my top recommendation. It’s built to handle almost any terrain or conditions, and it provides excellent results that are comparable to much more expensive models. Let’s start with the basics. The AT Pro is a fully submersible 15kHz VLF detector that can be used at a water depth of up to 10 feet. This makes it a great choice if you want to hunt near creeks, rivers or even saltwater locations. Despite being suitable for underwater detecting, the AT Pro is also excellent on dry land, which is why it’s such a versatile detector. Another big advantage of the AT Pro over the ACE series is that it has both automatic and manual ground balance settings. This provides much more control when you need to ignore salt or iron signals, so if your area is highly mineralized this is an essential feature. An interesting feature of the AT Pro is its “Pro” mode audio. When switched on, this causes the detector to emit several tones when over a target. Each tone provides information about the object, including shape, conductivity and depth. While this is a more advanced feature – and you can switch it off if you prefer the basic audio mode – it’s worth learning as it can make hunting much more efficient. It’s worth mentioning that the AT Pro isn’t the best option for saltwater beaches – at least if you want to go underwater or onto wet sand. This is because it’s a single frequency detector. While the ground balance makes it possible to filter some of the chatter, the AT Pro can only provide limited depth in these environments and will still get lots of false signals. For almost every other terrain, however, it does a great choice. The AT Pro isn’t just the best all-round Garrett detector – it’s arguably the best mid-level model on the market. It’s hard to think of many detectors that provide such a range of features and high level of performance for a similar price. Note: Want to know the difference between the AT Pro and AT Gold? Check out my in-depth comparison. I've also written a full AT Pro review and a review of the pricier (but more feature-packed) Garrett AT Max. If you’re mainly going to be hunting saltwater environments or finding gold nuggets, then the ATX is a better choice than the AT Pro – although it’s considerably more expensive. What makes the ATX a good option for difficult environments though? 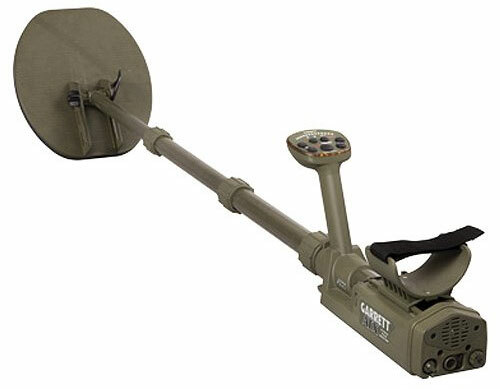 The Garrett ATX is a pulse induction metal detector that’s designed for extreme conditions. Whether you’re searching in highly mineralized ground (which is common when looking for gold) or in saltwater environments, the ATX provides outstanding depth and uniform sensitivity. Its multi-frequency feature makes it fantastic for almost any type of terrain, while the DD coil is highly sensitive without sacrificing reactivity. There are two packages available when buying the ATX. The Basic package includes a 10”x12” DD cover, along with MS-2 headphones and the standard set of accessories. The DEEPSEEKER package includes everything in the Basic option, along with 20” mono coil for greater depth. Even without the extra coil, the ATX provides a much deeper search than other models. Garrett estimates it can detect at depths of up to 19 inches. There are also 13 sensitivity options, advanced ground balance feature and both motion and non-motion modes. One of the interesting features of the ATX is that it can provide maximum detection for any target at the same time. Unlike other models, which require you to switch between modes, you don’t need to sacrifice performance with one type of target to improve your chances of finding another. It’s worth noting that the ATX isn’t suitable for diving, but it is waterproof down to 10 feet. This makes it great for shallow water hunting on the beach or in rivers. The machine also doesn’t come with waterproof headphones and is quite heavy. Even so, the incredible depth capabilities, easy to use design and excellent performance mean the ATX is worth the price – especially if you frequently hunt in difficult environments. While the ATX and AT Pro are both fully waterproof, they are not suitable for scuba diving. For that, you need the Garrett Sea Hunter Mk II. The Sea Hunter is a fully waterproof detector that’s suitable for both saltwater and freshwater hunting. It’s can be used at depths of up to 200 feet and does a good job of detecting in tough environments. Whether you’re searching for jewelry at the beach or coins in a lake, the Sea Hunter is an excellent choice. The Sea Hunter isn’t just for scuba diving though. The pulse induction technology makes it a good choice for general beach hunting – especially as it’s much cheaper than the ATX. A useful feature of the Sea Hunter is the Discrete Trash Elimination mode. This gets rid of pull-tabs without ignoring smaller items that could be potentially valuable. It’s not perfect, but it has much better discrimination than most other pulse induction detectors. It’s also highly sensitive, has decent depth (although not as deep as the ATX) and comes with submersible headphones. 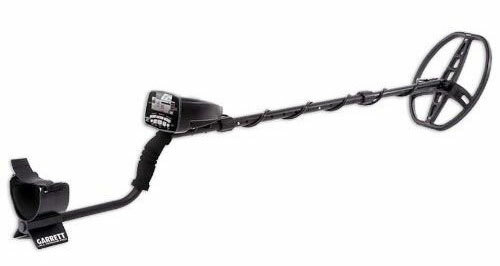 It’s true that the Sea Hunter MkII isn’t the most advanced or feature-packed metal detector. For underwater or beach hunting, however, it provides excellent value for money. Garrett detectors can be bought from any Garrett dealer. Many online stores, such as Amazon, also sell a wide range of Garrett models. Another option is to buy used and second-hand models from sites such as eBay, although this may affect the warranty. Wherever you buy from, make sure you're looking at genuine Garrett products . All Garrett products are built in Texas and are certified to be of a high quality. Some warning signs of counterfeit products include the wrong country of origin sticker (or none at all) and poor performance. If your Garrett has a fault or needs to be repaired, your first step should be to check whether it’s still under warranty. The manual may also provide basic troubleshooting information. If the warranty has expired, you can either contact Garrett directly for more information about parts and accessories, or take it to a specialist metal detector repair service. 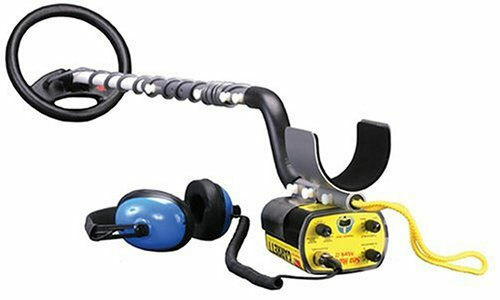 Specialist detector sellers, such as MetalDetector.com, often stock a range of replacement parts. If you’re not in the US, you’ll need to find an equivalent in your country. If you can't find a part, it's also worth contacting Garrett directly. Garrett sells a wide range of accessories in addition to their detectors. Some examples include accessory coils, pinpointers, backpacks, bags, battery holders, coil covers, gold pans, headphones and recovery tools. The official Garrett Website also sells shirts and caps, along with instructional videos. Garrett detectors usually come with a DVD showing you how to use the machine, but the company also sells more in-depth videos on topics such as gold panning. Garrett manufactures the excellent Pro Pointer series of pinpointers. If you're not sure which to buy, check out my Pro Pointer AT Vs Pro Pointer II comparison. This is a difficult question to answer, as both companies produce some excellent detectors. It’s more useful to compare models of a similar price range, as this provides a fairer comparison. When it comes to entry-level models, the Fisher F22 probably just edges the ACE 250 – although both are great choices. For a mid-level model, Fisher F5 is a competitor to the AT Pro, but I think the Garrett wins this one. The bottom line is that both Fisher and Garrett manufacture great metal detectors, but you need to decide which model is best suited to your requirements and budget. Garrett produces a wide range of excellent metal detectors. Whether you’re looking for an entry-level model to get started, a mid-level upgrade to improve your hunting ability, or a high-end detector packed with advanced features, Garrett have plenty of options. You also know that you’re going to get great customer service with Garrett. 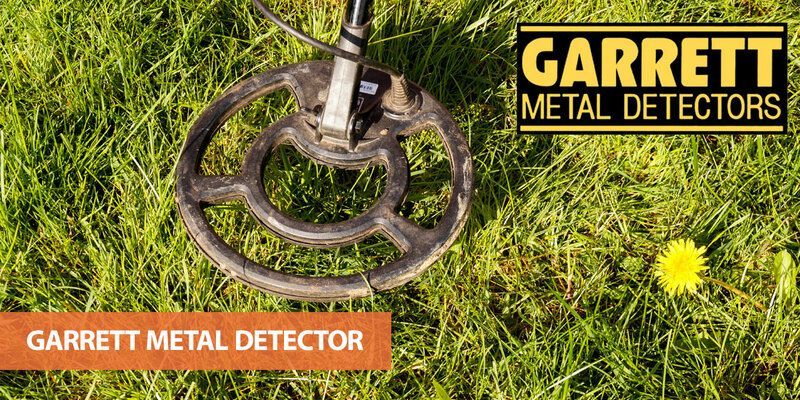 All their models are produced in the US and they uphold a reputation for quality and reliability, so buying a Garrett metal detector is often a wise investment in your hobby. I should point out that the models on this list are far from the only Garrett metal detectors I recommend. The company produces a range of others, including the full ACE range (which includes the 200, 300 and 400), the GTI 2500, AT Gold and the new AT Max. The key is to think of what you need from a detector, then find a Garrett that meets those requirements. Do you have any questions about choosing a Garrett detector? Let me know in the comments section and I’ll do my best to help.